Apple may be frantically attempting to fulfill demand for its recently announced iPhone 6 / 6 Plus, second-generation iPad Air and iMac with Retina 5K display, but it seems that the company also has one eye firmly fixed on its product roadmap for next year. The dedicated media event back in September confirmed that 2015 would be an extremely interesting year for the Cupertino company with the launch of the Apple Watch. As part of that event, Tim Cook announced that the Apple Watch would be hitting our physical and digital shelves in “early 2015” with most of us assuming that meant the first quarter of the year. However, that might not be the case as a leaked transcript – via 9to5Mac – of an internal staffing presentation suggests that the company’s intelligent wrist wear will land much later than expected in spring. Angela Ahrendts, Apple’s vice president of retail activities, has told employees in an internal video presentation that “we’ve got a watch launch coming in the spring“. By announcing that spring launch schedule, Ahrendts not only attempts to get staff focused on seeing out the rest of the year and the busy holiday shopping season, but also gives the external public a more precise date than the “early next year” estimation that had previously been stated by Tim Cook during the September 9th event in San Francisco. 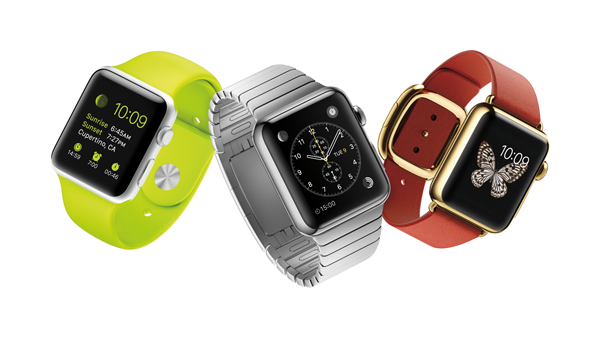 It hasn’t gone unnoticed that Apple has been extremely vague and noncommittal when it comes to the Apple Watch lineup. Executives within the company have consistently stuck to the “early 2015” launch estimation, and even the official pages on the Apple website continue to offer that timescale up as an indication of when we might be able to purchase the new product. Thankfully, the internal presentation from Angela Ahrendts sheds a little more light on the situation by explicitly stating that “we’re going into the holidays, we’ll go into Chinese New Year, and then we’ve got a new watch launch coming in the spring“. It seems that the message to the staff is clear; let’s concentrate on what are essentially the busiest times of the year for Apple retail before we even think about the watch. We don’t have any exact date information just yet, or even if all of the Apple Watch models will launch together, but we can only hope that we see the launch at the start of spring so we don’t have to wait too long. Tim Cook just wants to touch you.